Stay connected with your family and friends while traveling in the Philippines with a prepaid SIM card good for 8 days! Available for pick up at the Hong Kong International Airport before your flight, it's the easiest and most convenient way to stay in touch! With unlimited mobile data, you'll be able to send those Philippine holiday snaps to family and friends, look at maps to find the best restaurants and cafes, and stay on top of your emails while you're away. 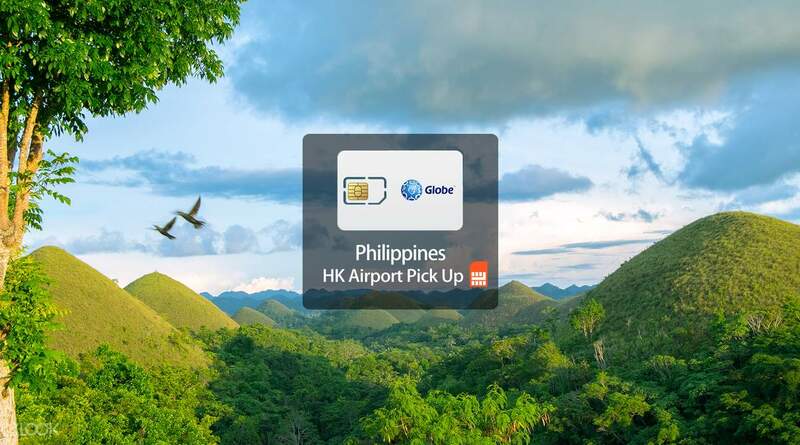 Simply pick up your SIM card at the Hong Kong airport, and you're all set! Very convenient pick up location. The SIM card is useful and data connection is really good. Very convenient pick up location. The SIM card is useful and data connection is really good. Good reception in general but some area with only 3G. Ok in general. Good reception in general but some area with only 3G. Ok in general. Recommend! will book again next time! Recommend! will book again next time! It is easy to pick up, the speed is fast and stable. It is easy to pick up, the speed is fast and stable.